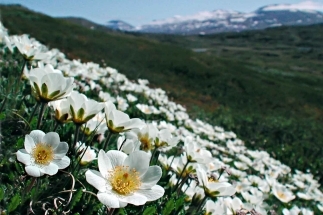 This unique and exclusive summer hike brings you right in the hart of the world heritage site Laponia in Swedish Lapland. 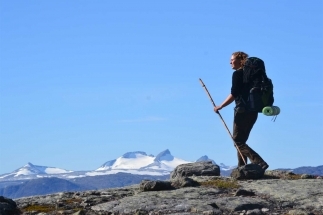 Together with a certified mountain guide, you spend 7 days in unique nature and experience Sámi culture. 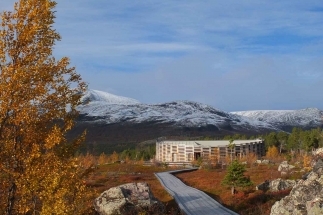 Right in the hart of the world heritage of Laponia the Sámi village Staloluokta is located. This is an optimal place to start our hiking from. 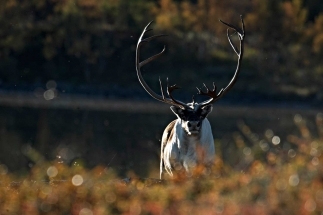 During the summer months there is full of life and people in Staloluokta as the members of the Sámi village spend three months here where the reindeers are on the mountain slopes. The bright nights of the summer in Swedish Lapland embrace us and give us a feeling of the Arctic bright nights. 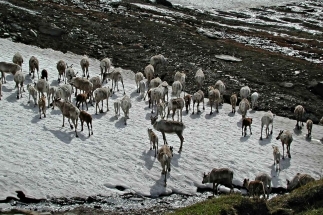 In the beginning of July time is for marking the small reindeer calves, a really great show going on during the night and the light hours. Everyone, old and young from the village participate, it is a heritage. Around the fireplaces the stories are told together with coffee and reindeer meat. If we are lucky we might be a part of all this Sámi culture. 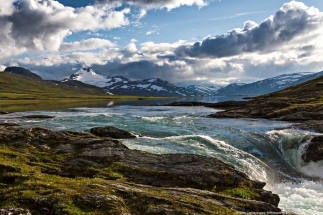 On the border to Europe’s last wilderness area Sarek the views are wonderful and we hike in almost untouched landscape. 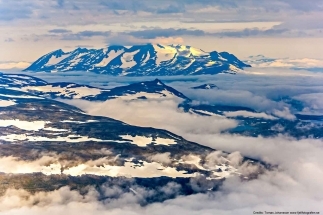 On the west and south side you spot the big massif of Sulitelma. Right in front the soft and green slopes that is significant for this area surrounding the big lakes Vastenjaure and Virihaure. Staddajákk and Sárjásjaure is very beautiful places close to the Norwegian border. 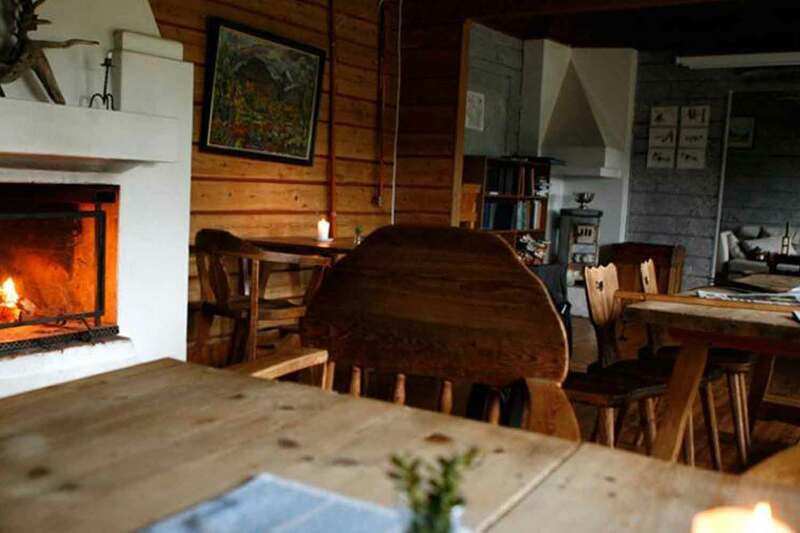 We spend a night in the small cabin known as consul Persson cabin, located just on the edge to the waterfall. The very strange shape of the summit of mountain Jiegnajaffo is a challenge to climb, and also a tour up to the high altitude plateau Duoddar. This all exclusive and best adventure will forever remains in your mind. Transfer to/from Ritsem from Luleå airport (370 km one way) can be arranged on request. 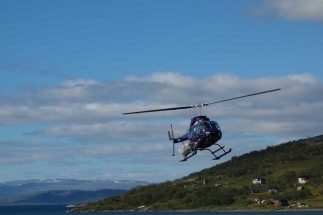 The guide meets you up in Ritsem where the helicopter takes you to Staloluokta. 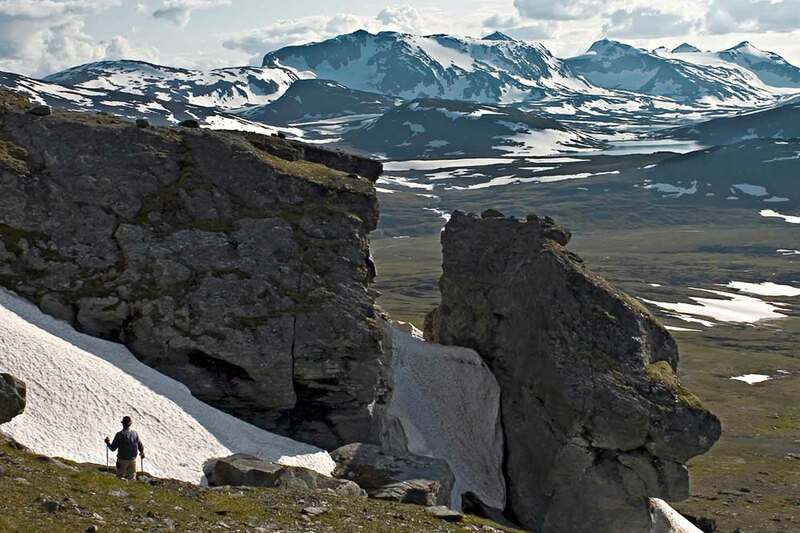 A nice tour with the best view over Padjelanta and Sarek. After something light to eat we take in the atmosphere in the area. 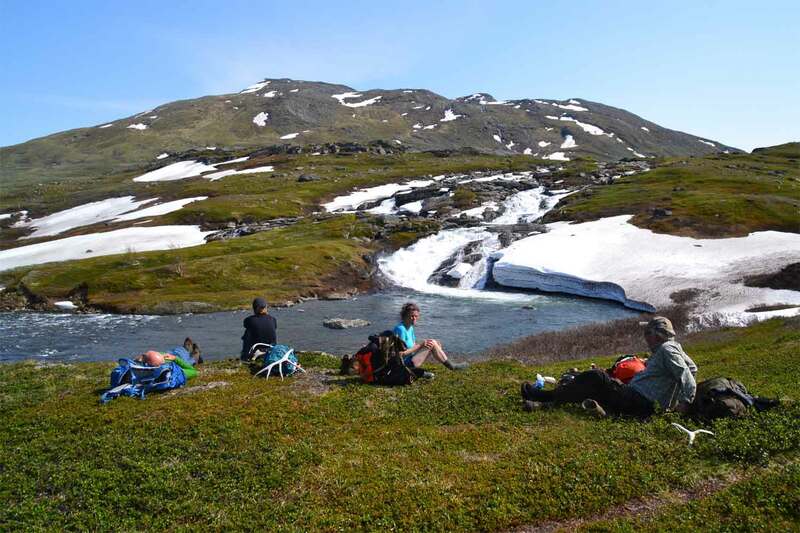 Today we explore our nearest mountain, Djiddjer and continue our hike to the neighbouring Sámi village Arasluokta, where we have a longer stop with something to eat and meet the locals. After breakfast we hiking towards Duoddar to the waterfall. This will be a great day with nice views and good fishing for arctic char. Hiking towards Staddajåkk upstream the fizzy creek Viejejåhkå and further on a short hiking to Sårjåsjaure and the small and beautifull cabin at the edge of the waterfall. Stay over the night with some excursions. 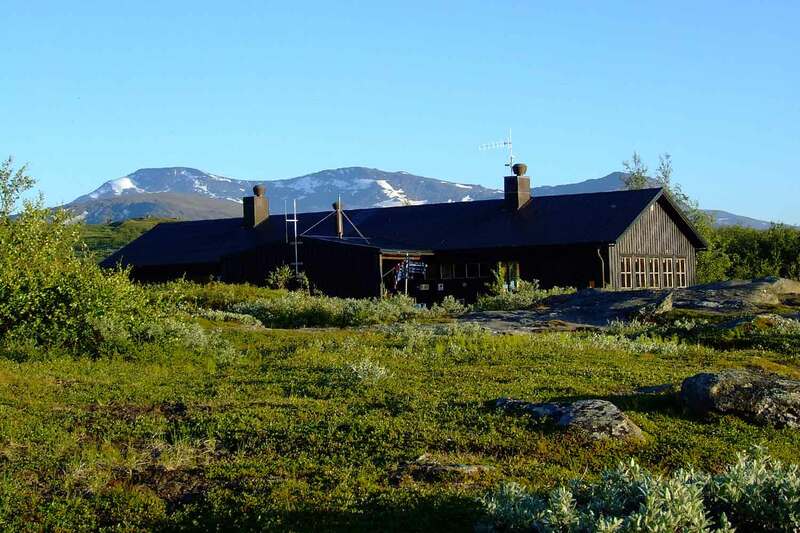 We start the day with a tour and explore the massif and area around Sulitelma or just stay and relax around the cabin. Back in Staloluokta in the late afternoon. Day 6 will be an easy day where we see what the day might offer. After daily having new experiences it’s time to travel home. Helicopter transport back to Ritsem where the tour ends, on request we can organise connecting transfer to Luleå airport. 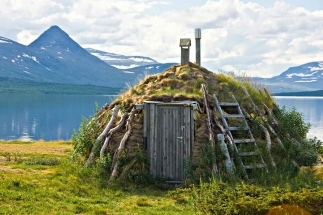 You can look back on an amazing seven days visit to the top of the Laponia world heritage in Swedish Lapland. 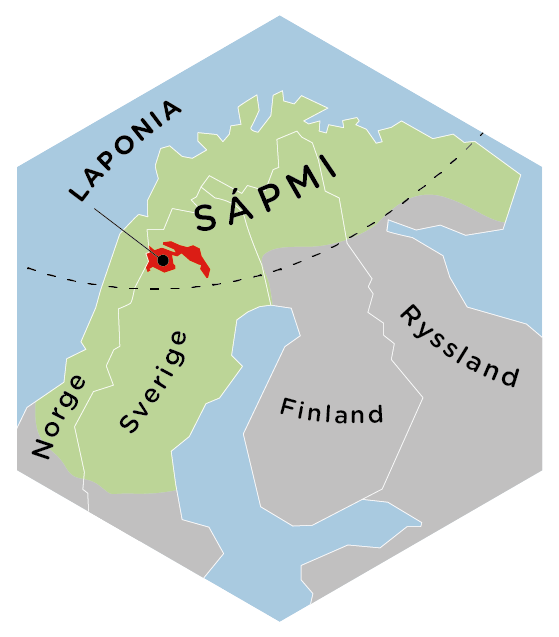 You have chosen Top of Laponia - Swedish Lapland. To continue your booking, select your arrival date.